"Some people experience having 'too much' empathy - over empathizing with people and situation so that it becomes 'harmful to oneself and others." ‘Empathy’ is classically described as ‘stepping into another’s shoes’, and is at the core of design thinking. As designers, we endeavour to be empathic and understand the needs of the people we are serving, in order to design around these needs and ensure our interventions are helpful. In my experience however, ‘empathy’ covers a bigger and messier realm. I have found that it is often wrongly used in the world of design, casually spoken about as a thing you ‘do’ rather than a thing you ‘have’." "Conventional product development focuses on the solution. From the book forward. "Indi Young's book is a practical manual for practicing empathy, which is a skill, not an innate talent. Empathy is a mindset that can be learned and improved with practice. There are best practices, techniques, and tools that help you get your own ego out of the picture and focus on what things are like from another person's perspective. It is not easy to do really well, but it is worth doing really well! And Indi's book shows you how to do it. Practical Empathy offers advice on how to practice an empathetic mindset toward other people involved in the conception, design, or implementation of a product." Our human-centered design team meets every Tuesday at 10 am to 12:30 pm, as well as other dates and times. We meet at the Oakland HUB. open for others to join. Email Edwin if you would like more information and to join the team. colleagues, and strangers who make up your everyday community. Designer Cindy van den Bremen was born in 1972 in Vlissingen, a town in the south-west of the Netherlands by the Sea. From an early age she developed a broad interest in other cultures and religions. Cindy works independent from her studio CvdBremen in Eindhoven as an Empathic Designer with an expertise in Cultural Diversity and teaches at the Technical University in her hometown at the Faculty of Industrial Design. She gives lectures, presentations & workshops to a variety of audiences both national and internationally, both in the Dutch and English language. Cindy teaches a design workshop titled, Masterclass - the necessity of Empathy. From the workshop description, "Designing is the ability to empathize with others. As the title would assume this lecture and workshop focused on empathy and the necessity of the added value of empathy in co-design processes. 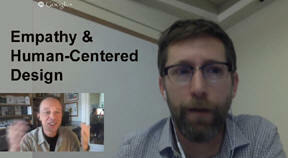 How does empathy help you in co-design projects? How can you apply it and how can it be an inspiration in your concept development? These themes were discussed and experienced in an interactive and inspiring afternoon. I realized the complexity of empathy and importance of finding a common ground. When working with a user to make sure that he or she can find their own goal and inner motivation." 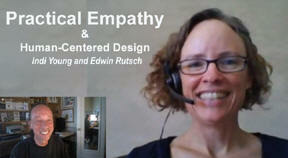 How does empathy help you in co-design projects? Dana Mitroff Silvers is a web strategy and implementation consultant and workshop facilitator with experience launching digital products in museums, nonprofits, and educational organizations. A theme in her current work is how mission-driven organizations can integrate principles of human-centered design into their practice. Dana has been in a dialog with others in the museum community about creating The Empathetic Museum. She wrote an article about 'Empathy as the starting point for innovation'. 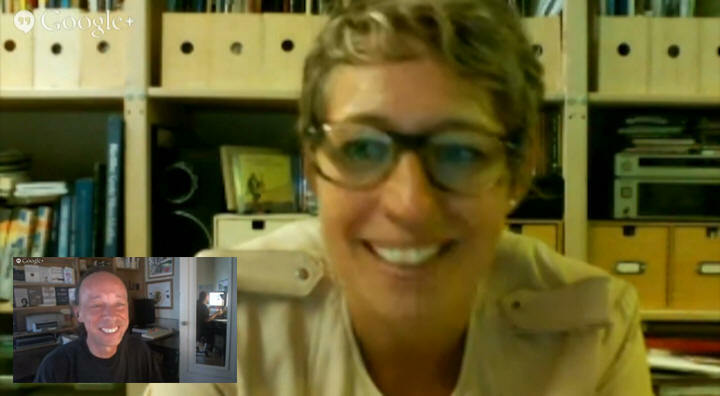 In this dialog we talked about her article and insights on empathy and bringing human-centered design to museums. She writes, "One of the core principles of design thinking is its focus on human values at every stage of the process. And empathy for the people for whom you’re designing is fundamental to this process... There have been several recent discussions about empathy in museum practice, ranging from Regan Forrest’s writings about empathy in the context of interpretation on the Interactivate blog to Gretchen Jenning’s write-up about The Empathetic Museum at AAM to Suse Cairns’s post on the Museum Geek blog, On the paradoxes of empathy. I’m thrilled that empathy seems to be an emerging meme among my museum peers. The current discussions touch on the application of empathy at all levels of museums, from institutional policy to interpretive practices. One aspect of empathy that I think is missing in these discussions is how it is used and applied in the context of the design thinking process." 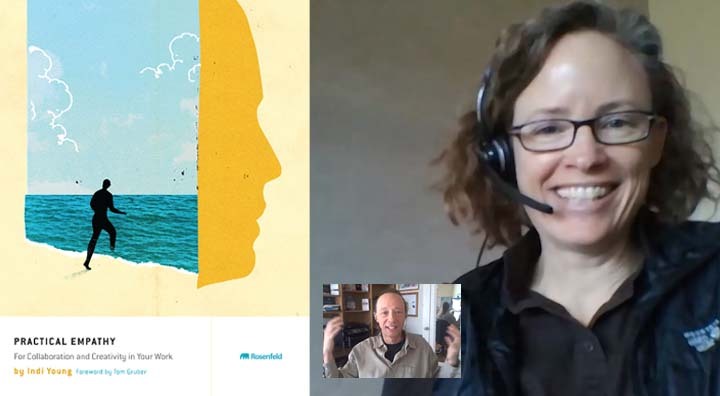 Design for an Empathic World: Reconnecting People, Nature, and Self. 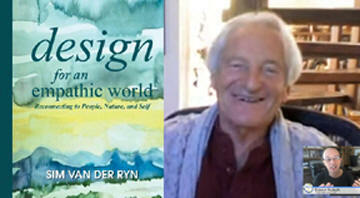 Sim Van der Ryn has been a teacher, writer, researcher, and practitioner of design for forty years. A leading authority on ecologically sustainable architecture and design, he is Emeritus Professor of Architecture at the University of California, Berkeley, where he has taught since 1961. Sim is author of numerous books including his most recent, Design for an Empathic World: Reconnecting People, Nature, and Self. "He advocates for “empathic design”, in which a designer not only works in concert with nature, but with an understanding of and empathy for the end user and for ones self. It is not just one of these connections, but all three that are necessary to design for a future that is more humane, equitable, and resilient." 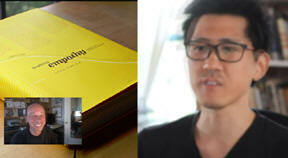 Seung Chan Lim, better known as Slim, is the director for project Realizing Empathy. Realizing Empathy is a project that asks what it means to make something, how it works as a process, and why it matters to our lives. It explores these questions across disciplines such as fine arts, performing arts, design, science, and engineering. Slim is also author of the book, Realizing Empathy: An Inquiry Into the Meaning of Making. Slim says,"As a designer, I must find ways to harness the most complex of technologies into an experience that is not only pleasant, but also empowering and meaningful. As an engineer, I must make sure that I can not only talk the above talk, but also walk the above walk. As a strategist, I must make sure that the talk is not only talked, but heard, and the walk is not only walked, but seen." "What I have learned from this experience is that making things is analogous to engaging in an empathic conversation with another person." Patrick Quattlebaum is Managing Director of Adaptive Path, an experience strategy and design company. Patrick is also an in demand consultant who helps organizations envision, architect, and manifest new product and service experiences. He’s a passionate strategist, designer, humanist, storyteller, facilitator, and teacher. Patrick wrote an article 'Service Design Soft Skill Builder: Empathy' about using and practicing empathy in the Human-Centered Design process. In this dialog we discussed his article and explored ways to increase and practice our personal empathy skills. Patrick writes, "We, the design community, talk (and write and speak) a lot about empathy. We lament the empathy deficit in our companies and clients and cry "something must be done about this." We tout personas, empathy maps, experience maps, and other methods as empathy deficit reducers that lead to better experiences (and profits). Some, at the extremes, position human-centered designers as Platonic figures releasing stakeholders from the shadows of opinion and faceless analytics into the reality of human emotions, needs, and desires. We talk a lot about other people's empathy. But what about your own? What about mine? " 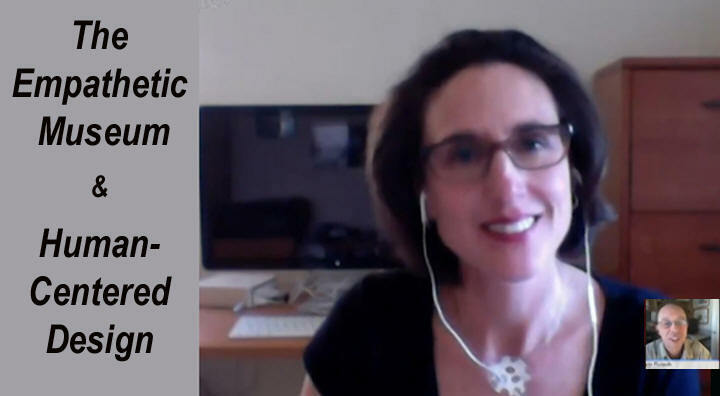 Indi Young is a user experience consultant, author, founding partner at Adaptive Path. "My book about empathy and generating better services and products for the people you support via mental model diagrams is gaining more and more attention. I'm happy to teach a workshop for your organization or help your team through the method... Empathy is your tool for understanding how people think and feel. Schooling your thoughts to think and feel the way someone else does is a powerful way to do a lot of things, including design and guiding the direction of your work." Dave McColgin works at Artefact Group, which is a technology product design company. He wrote an article and white paper on, "Why you should invest in empathy." A major step in the product design process is to empathize with the users needs in relation to designing any product. In this interview Dave walked me, step by step, through his article. How can decision makers get a better intuitive sense of their customers to complement the faceless data? What are some creative ways that working teams can get a deeper sense of walking in their customers' shoes? How can you recognize when there is an opportunity to increase empathy among customers? How does technology act against empathy today and what can we do about it?" Rob Calvey is a Post-Baccalaureate Fellow at Design for America. 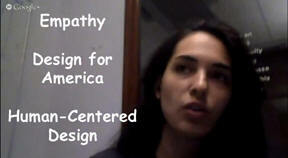 In this interview we talked about Empathy, Human Centered Design and Design For America. Rob is working on a process manual for Design For America and is writing about empathy. 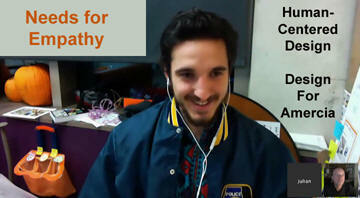 Edwin also interviewed Rob about his personal needs for empathy in the design process. 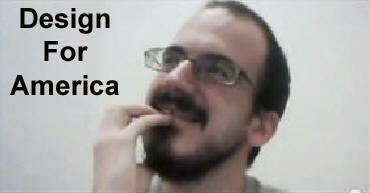 Julian Bongiorno is a Fellow at Design for America. Graduating from Columbia in 2013, Julian comes to DFA with a degree in Mechanical Engineering and an explosive passion for innovation. As a DFA Fellow, Julian hopes to unite the various studios by inspiring and producing life-changing projects that improve communities. In this interview Julian shared his personal experience and insights into the nature of empathy as related to Human-Centered Design. We also talked about his personal needs for empathy. Julian shared his story of how he became interested in Human-Centered Design. He wants to have a deeper and ongoing empathic connection with people he is designing for. Being a designer is not just a 9 to 5 kind of a job, but is an empathic way of being in the world. "Global firm IDEO incorporates human behavior into product design -- an innovative approach being taught at Stanford. Charlie Rose profiles the company's founder, David Kelley." "Charlie Rose: They encourage wild ideas and visualize solutions by making actual prototypes. But the main tenet is empathy for the consumer, figuring out what humans really want by watching them. Charlie Rose: It's not rocket science, it's what? David Kelley: It's empathetic to people. Like really like try to really understand what they really value. "Kermit Pattison: How has the design thinking model influenced your approach to leading people? David Kelley: The main tenet of design thinking is empathy for the people you're trying to design for. Leadership is exactly the same thing--building empathy for the people that you're entrusted to help. Once you understand what they really value, it's easy because you can mostly give it to them. You can give them the freedom or direction that they want. By getting down into the messy part of really getting to know them and having transparent discussions, you can get out of the way and let them go. The way I would measure leadership is this: of the people that are working with me, how many wake up in the morning thinking that the company is theirs?"" Designing with Empathy "Every decision we make affects the way real people experience our products. We’ve all heard the rallying cry for user-centered design, but even those of us who ascribe to that ideal often fall back on our own biases and instincts when it comes to making decisions about how people experience our content and our services. Sadly, this often means we make decisions we think will be good for our "users"—that anonymous, faceless crowd—rather than actually trying to understand the perspectives, surroundings, capabilities, and disadvantages of the actual people who we are here to serve. In this session, Aaron Gustafson will explore why empathy is a good thing, how empathy empowers creativity, and how we, as a community, can inject more empathy into our work."